What they are and what they taste like! Most of these are VERY easy to grow at home, and may attractive, low maintenance landscape plants, in addition to providing tasty fruit! Buffaloberries: The Buffaloberry (Shepherdia argentea), is a drought tolerant, sun-loving, nitrogen-fixing, thorny shrub often found in light soil of ravines and stream banks. They sucker readily and are recommended for shelter belts. White flowers appear in late April or early May, and the orange or red fruit ripens in early to late fall. The fruit is bitter, but sweetens after a frost and were used by indigenous people to flavour meat. They are high in iron, and were also used as a tonic for blood disorders. They make good jellies and pies. 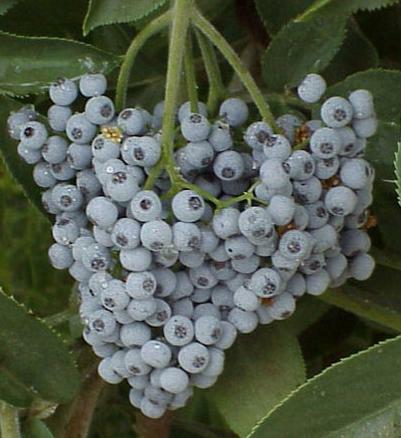 The Buffaloberry can be propagated by seed or by transplanting root suckers. 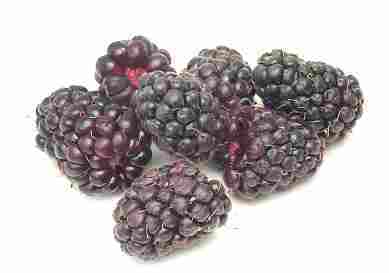 Boysenberries: A boysenberry is a cross between a blackberry, a raspberry, and a loganberry. They are a dark purple almost black in color when ripe. It's softer than a blackberry, but it also lacks the blackberry's large seeds. It was developed in California, where people still favor them. The bushes / vines have very prickly small thorns. It's best to wear gloves when picking them. TThere is also a thornless variety - see Raintree Nurseries for those. Chokeberries or Chokecherry (also called Aronia Berry): The Chokecherry (Prunus virginiana) is similar in its habitat preferences to the saskatoon. The white flowers, appearing in late May to early June, form long bottle-brush like clusters. The fruits ripen in August, and can be yellow, orange, red or dark purple in color. The fruit is astringent, but makes good jellies, jams and sauces. Other parts of the plant were used by native peoples for medicinal purposes. The roots were chewed and placed on wounds to prevent bleeding, and the bark was boiled with other ingredients to treat diarrhea and fever. Chokecherries can be propagated from seed, cuttings, suckers and crown division. Aronia berries contain high levels of vitamins, antioxidants, and polyphenols that reduce the potential for cancer and heart disease. Products made from chokeberries include jams, jellies, juice and Aronia wine. A two day event about sustainable organic commercial production and home garden culture of black chokeberry (Aronia melancarpa) was held in August 2008. For more information about future events, commercial production and marketing of aronia berries, visit Everhart Horticulture Consulting. Dr. Eldon Everhart, formerly with Iowa State University, is co-owner of Everhart Horticulture Consulting. " These are similar to blackberries, only they're smaller. They're most popular on the west coast, and particularly Oregon. You'll find it spreading along open ground. When the berries are ripe they're hard to pick without squashing them. 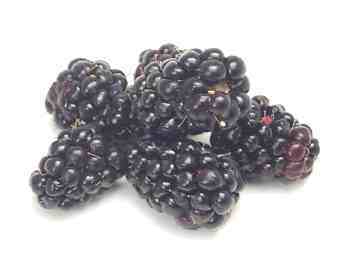 The berry looks like a blackberry, but usually have far fewer drupelets (the individual lumps on the berry). It is also somewhat powdery in appearance. Figs - They're not that unusual, but for some reason, many Americans have never eaten a fresh fig. I blame fig newtons and dried figs - those are NOTHING like a fresh fig. A fresh fig tastes like a mix of a peach and a strawberry! Figs are one of the easiest fruit to grow, requiring little attention, no pesticides and are fast growers. 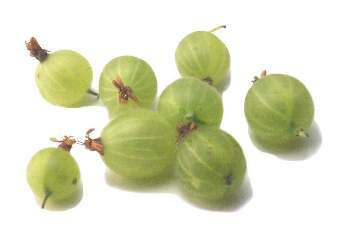 Gooseberries: The gooseberry is a large, tart berries in season in June and July. American gooseberries are round and about 1/2 inch to 1 inch in diameter, while European gooseberries are oblong, and about twice the size of American gooseberries. They're very acidic. They can be green, yellow or reddish. They also come in various degrees of sweetness or tartness; from cooking gooseberries to sweet dessert gooseberries. 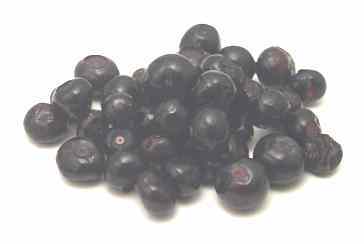 Huckleberries: The huckleberry is similar to blueberries, and they're great for making preserves and syrups. Loganberries The loganberry is one of my favorites. It tastes like a mix of strawberries, raspberries and blackberries all combined. It makes great tasting jam! The dark red when ripe. There's an interesting article on WikiPedia about Loganberries. The debate goes on as to which is the best: Loganberries, Tayberries or Boysenberries; all of which are closely related. Tayberries produce much more but have thorns. 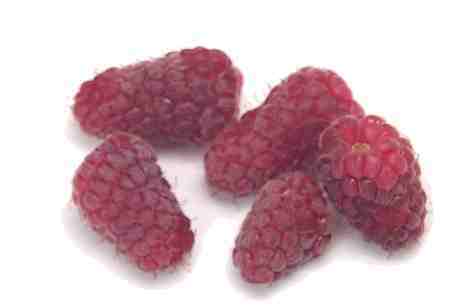 New varieties of Loganberries are thornless but yield much less. And then there are people who rave about Marionberries and olallieberries, which are also close relatives. 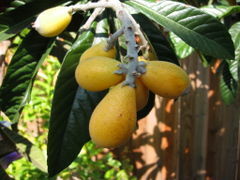 Loquats (Eriobotrya japonica, aka Japanese plum) are fruit trees indigenous to southeastern China, but is now grown in Florida, California and Israel. It is an evergreen large shrub or small tree that can grow to 5-10 m tall, but is often smaller, about 3-4 m. Loquats are unusual among fruit trees in that the flowers appear in the fall or early winter, and the fruits are ripe in late winter or early spring. The fruit is very slightly fuzzy, and a light orange color, or orange-yellow. and have a large pit in the middle (or even several pits in the very center; up to 7, but usually 1 or 2)The fruit is a creamy white inside and is sweet (with some subacid or acid) if left to ripen on the tree before picking. The fruit should be peeled prior to eating; the skin, though thin, can be pulled off manually if the fruit is ripe. Also, the seeds MUST be removed before use, as they are toxic! It does make a wonderful jelly, and will grow in the deep South of the US. The tree won't bear fruit until it is about 10 yrs old (and the winter conditions have to be right in order to bear fruit). The loquat is comparable to the apple in many aspects, with a high sugar, acid and pectin content. It is eaten as a fresh fruit and mixes well with other fruits in fresh fruit salads or fruit cups. 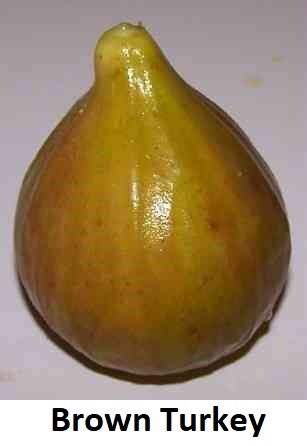 Firm, slightly immature fruits are best for making pies or tarts. 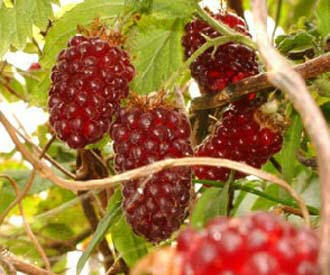 The fruits are also commonly used to make jam, jelly and chutney, and are delicious poached in light syrup. A type of loquat syrup is used in Chinese medicine for soothing the throat, like a cough drop. Loquats can also be used to make wine. 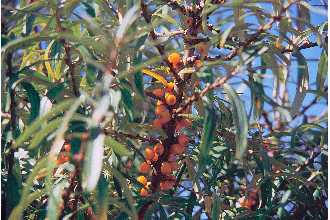 Loquats are easy to grow and are often also grown as an ornamental tree. Mayhaws - a small (1/2 to 3/4 inch in diameter) crabapple-like fruit that grows on a type of thorny hawthorne tree. It ripens from mid-April to early May, from which the name, mayhaw, originated. 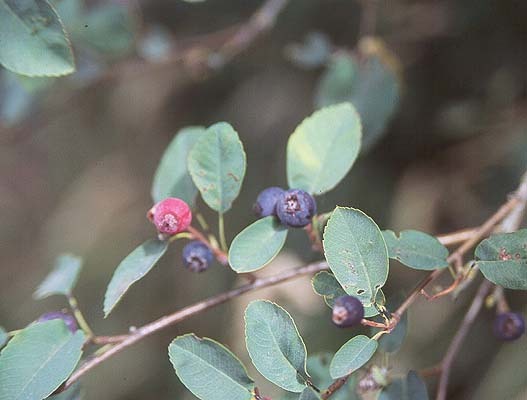 The mayhaw is a wild native fruit tree found along river bottoms and swamps from east Texas, east to Georgia and Florida, and especially throughout Louisiana. It does well in swamps or drier, better-drained land and best in full sunlight. The strained fruit is most often used for making jelly, syrup and wine. The pulp is sometimes made into jams, butters and pies. Few people eat the fruit raw. You can shake the tree and gather the fruit from a bed sheet or piece of plastic spread under the tree. Mulberries The mulberry grows on a tree that can get quite large. They are black and are so fragile that almost no markets carry them. They are similar to blackberries, just larger and much more fragile). The flavor is very mild, and they are mildly sweet. I doubt whether many people would prefer them to blackberries or raspberries, but if you have access to a tree, they are very productive! Mulberries also come in a white variety. Their flavor is different from the blue-black berries but good! 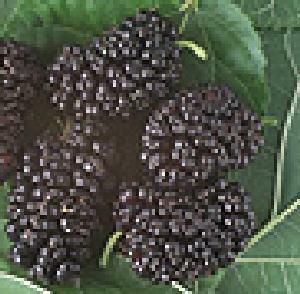 There are three types of mulberries commonly found: the native north American ones (black and a red variety). And the "chinese white". The black and red (they are the color dark red, like a red delicious apple color) were native, and earlier settlers imported the white ones from China, in the hopes of getting silk worms to flourish. While no silkworms are around any longer, the berry trees are all over the place. Most people don't know they are edible. Of the three varieties, the black ones taste almost watery with a delicate sweet flavor, overall, pretty bland. The red ones are not much different, overall a great value for "free food" as they are everywhere. Beware of the little critters that are on some of them, though. The white...oh the white!! They are truly delicious, it's almost like a different fruit altogether. When ripe, they can be as long as 2", but more typically 1 1/2" long, with a slight lavender blush on the outermost part of each individual nodule that makes up the cluster of the berry. If you see some, start picking and eat them fast...they don't last long. The tiny stem at the top is hard to remove without a knife and usually just eaten. Some people add them to pancakes and muffins, simply following recipes for blueberries, however, they are best fresh just rinsed and chilled. 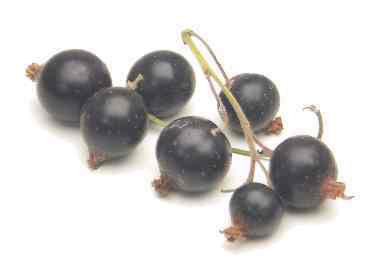 Olallieberries: The olallieberry is a cross between a youngberry and a loganberry; it's black and fairly sweet. It is popular in California and Oregon. (often misspelled as Ollalieberries). Plants are very hard to come by. Nurseries in California often have them in the Spring, There are a few online sellers/shippers, like Weeks. If anyone knows of one, please write me, I'd like to get a few plants to try! Paw-Paws: Also known as a prairie banana, Kentucky banana, or Ozark banana, is small tree with large leaves and fruit, native to southeastern North America. Also spelled paw paw, paw-paw, and papaw. 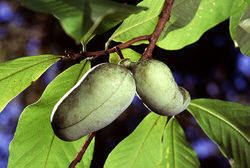 The pawpaws are shrubs or small trees, reaching heights of 2 to 12 m tall. The fruit is a large edible berry, 2 to 6 inches long and 2.5 to 3 inches wide, weighing from a few ounces to a pound, with numerous seeds. It is green when unripe, maturing to yellow or brown. It has a flavor somewhat similar to both banana and mango, varying significantly by variety, and it has more protein than most fruits. Salmonberries - They're sweet, with an orange blush when completely ripe. Small (1/2 inch across), tasty, native to the west coast, from California to Alaska and in to parts of Idaho. They are a trailing vine that is very prickly! Raintree Nursery sells the plants. Wikipedia has more information. 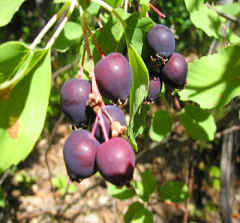 Saskatoons - It is also called the Western or Pacific Serviceberry, Saskatoon Berry and Alder Leaved Serviceberry. Juneberries is the name for the eastern variety of the same berry. They are very similar to blueberries, but a flavor more like apples. It is a Deciduous shrub/tree, to 40 ft (12 m), spreading to erect. They like well-drained moist soils. They are cold and drought tolerant. 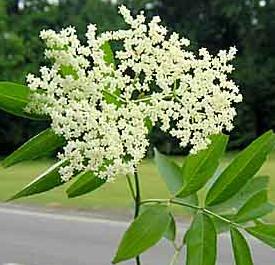 Flowers small, white, fragrant appear in early to late May or early June, and the purple fruit ripens in early to late July. Fruit is 1-1.5 cm, rounded, purple-black, edible, sweet. Hardy to USDA Zone 4. Native range from southern Alaska to California, east to the Dakotas, Nebraska, New Mexico, and Arizona, mostly along river banks and moist thickets and forests. Apparently, the fruit tastes a bit like a blueberry. The berries have a pleasing and unique flavor, and are also high in iron and copper. They are good eaten fresh or in desserts. Native peoples used them in soups, stews and pemmican. They were also used in medicines for stomach and liver problems, and the juice was used as a dye. They can be propagated from seed, cutting, or suckers. 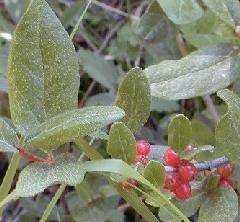 Seaberries - has bright yellow-orange to red berries that are 7 times higher in vitamin C than lemons. They're also every bit as tart! . Like cranberries, when sweetened, it is delicious in juices and jams. The shrubs grow to 6 to 18 feet when mature, Russians and eastern Europeans make the berries into sauce, jam, juice, wine, tea, candy, and even ice cream. The berries are also known as "Siberian pineapple"
Some folks (in New England) have reported that these are the same as Autumn-olive berries, which also ripen in fall. This non-native (Asian) shrub has small red berries, speckled with pale grayish or tan scales. The plant, which is usually over ten feet high by the time it is ready to bear fruit, has distinctive silver undersides of the long, narrow leaves. The berries are sour, but after a few frosts, become much sweeter. 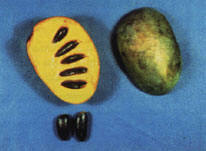 The seeds do have soft yellow seeds which may be spit out or eaten with no ill effect. Tayberries: This is popular in Oregon, and even more popular in the UK. 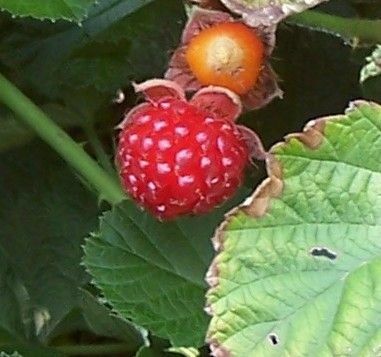 It comes from Scotland, in 1977, near the Tay River, when a raspberry was crossed with an Aurora trailing blackberry (I've also heard it was a cross between a loganberry and a black raspberry). It's flavor is aromatic, similar to the Loganberry, with a bit more acidity, and farm more productive. I prefer them to raspberries!